It’s no secret that technology has opened up a world of opportunities to the average worker—and direct sales opportunities are no exception. If you’re interested in home-based business opportunities such as direct sales, there are so many different ways to earn extra cash from home. Direct sales have come a long way since the days of Tupperware, Mary Kay, and Avon (although those options are still available). Sellers can earn commission on products, earn money by referring new sellers to the company, and in some cases, even earn money selling online and through social media. The best part about direct sales is that you get to connect with other women, share a product you're passionate about, and you can work from home within hours that you set. Direct selling offers a lot of flexibility, so it can be an excellent growth opportunity for outgoing moms, especially if you have a large social network. 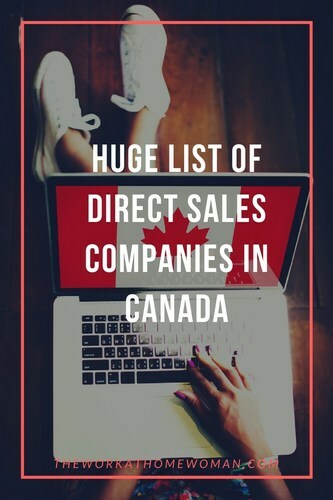 So if you’re looking for a list of direct sales companies in Canada, here are some great ideas and companies to get you started. Sell natural health products (NHPs) such as vitamins, herbs, and supplements. This Canadian-based company offers training and entrepreneurial opportunities. You earn money by finding more distributors for the products. AdvoCare offers nutritional supplements, weight loss and energy products, as well as sports products. The company was founded in 1993. It’s based in Texas, USA but offers retail opportunities in Canada as well. Average distributors start making about $69 (USD) per year, with top sellers making $90K or more. Formerly Electrolux Corporation, Aerus has been in business since 1924. They manufacture vacuum cleaners, air filters, and water purification products. With a stellar reputation and great experience, they offer opportunities for independent franchisees and sales. Aloette uses the healing power of aloe vera and other natural ingredients to produce products using their “farm-to-jar” philosophy. Their offerings include skincare, soaps, treatments, and anti-aging products, as well cosmetics and makeup. After an initial $150 (USD) startup kit, consultants earn a 35% commission on the items they sell. 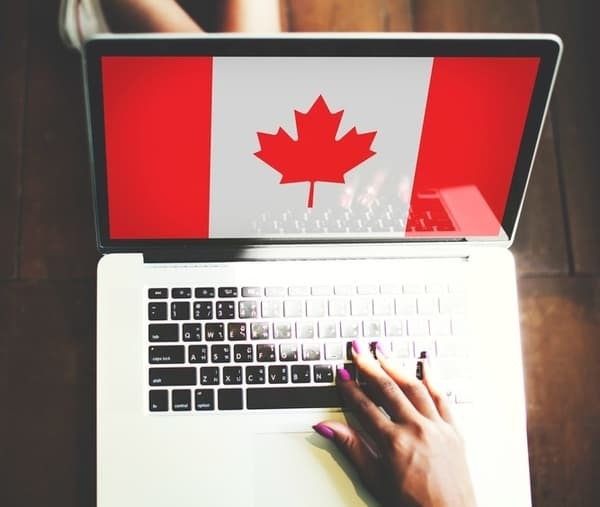 A pioneer in the field of multi-level marketing (MLM), Amway offers many flexible sales opportunities throughout Canada as well as in the United States. One of the great things about Amway is the extensive training program. You’ll be well connected to a network of fellow sellers and can learn from others. Consultants receive a 25% commission on products. Arbonne offers a line of vegan, natural, and cruelty-free beauty products, makeup and cosmetics. They also offer nutritional products like shakes and supplements, as well as tea. These popular products contain gentle ingredients and address a variety of skin concerns. After the initial purchase of a $79 startup kit, consultants earn 35% commission. Another tried-and-true pioneer of the beauty industry, Avon has come a long way since the days of the door-to-door “Avon lady.” They offer a huge variety of beauty products, including some of their classic favorites, as well as fashion accessories, gifts and more. Avon reps earn 40% in sales on your first six orders! BeachBody offers total nutritional systems including exercise plans, supplements, and workouts. They have diet plans to follow and motivational offerings for everyone trying to obtain a beach body. After a $39.99 fee to join, you receive a 25% discount on your own products and receive a commission on everything you sell. Beauticontrol offers spa-quality products available for in-home use. You can create your website through their BeautiPage, where clients can place their direct order. They offer consultant training through BeautiYOU, providing access to training videos. After an initial buy-in of $99 (USD), you receive the items you need to start your own business. You receive a 40% commission on sales. If you have a flair for stylish clothes, you can become a CAbi consultant and make 20-33% commission on sales. By hosting in-home sales, you can share highend fashions with friends and family, and earn 25-30% per event. At the end of the season, you can sell off your inventory at 50% off and if you sell 70% you can earn a $3,000 (USD) bonus. Creative Memories offers paper, books, scrapbooking accessories, and everything you need to create beautiful photo albums. With creative memories, consultants join by paying a $49 (USD) annual fee and then earn 10-40% of sales as well as a monthly commission, depending on sales volume. The famous “cuts anything knives” from Cutco are part of their popular line of cutlery and kitchen accessories. Representatives sell through in-home demonstrations, as well as at events. Cutco representatives earn a higher return based on sales. For example, $1000 (USD) in sales could result in a 10% commission, where $10,000 (USD) results in 25%. Discovery Toys offers a wonderful line of educational and hands-on toys and games. These learning and discovery-focused items are sold through in-home parties and include toys for a variety of needs and aptitudes. They also offer a special line of sensory toys for children with Autism. Discovery Toy consultants start by purchasing a $119-499 (Canada) starter kit, and earn rewards for hosting parties and selling products. doTERRA products are made from 100% pure essential oils, and they have a great line of supplements and products to help make the most of those essential oils. You can purchase diffusers, beauty products, and other items featuring their great oils and blends. Representatives for doTERRA make on average $3,950-$9,950 (USD) per year, with some making even more. Isagenix offers a line of nutritional and weight loss options including supplements, shakes, and smoothie blends. Isagenix customers receive a 10% discount with no annual fee. Preferred customers receive a discount on products of 25% and can then earn a percentage back on sales through any other customers they sign up. There is a $29-39 (USD) annual fee to become a preferred customer. This fun and popular line of nail wraps comes in cute patterns and prints, as well as solids. These peel-on/peel off nail wraps are easy to use, and Jamberry Consultants demonstrate them at in-home parties and sales. Reps earn a 30% commission and pay $119 (USD) for a starter kit. Nail wraps start at $15 (USD) per set and are easily applied with heat. Another option for cosmetic sales is Mary Kay. Mary Kay reps are often known for the famous “pink car” and their in-home demonstrations. There are a wide variety of cosmetics and skincare products in the line and they address a myriad of concerns. Representatives can start selling with a $100 (USD) starter fee and then earn 50% commission on products they sell. Nerium’s line of age-defying skincare has exclusive antioxidant formula ingredients and benefits. They offer products for skincare, body, and face, as well as supplements for mental sharpness and focus. Representatives for Nerium earn a 10-25% commission on products sold. To start, you must purchase one of their starter kits which can range from $99.95-999.95 (USD). Founded in 1984, Nu Skin was early on the in-home cosmetics and skin products scene. This company offers spa-level products, essential oils, masks, peels, and supplements to address a wide variety of skin care and aging concerns. Representatives can get started with an introductory kit starting at $330-1230 (USD). The average compensation earned is around $188.85/month, but many reps make far more. Pampered Chef offers great kitchen tools from knives and cutting boards to tools to make your cooking experience great. Representatives offer in-home demonstrations at cooking parties to show the delicious ways to use all of their great products. Sellers earn 20-27% commission, and starter kits begin at $99-159 (USD). Earn money selling cute children’s clothing at in-home boutique parties. These cute clothes are durable and easy-to-move-in, not to mention fashionable. Representatives can get started with a $199 (USD) starter fee and then earn 15-25% commission on sales. Rodan and Fields has anti-aging skincare products made by the creators of Proactive. Sellers can work both as in-home consultants and through retail. Rodan and Fields offers 10% commission on sales (plus great returns on retail) if you meet your sales volume points in a given period. Scentsy flameless candles are warmed gently in plug-in devices to make your whole house smell wonderful without any danger. They also offer home décor items and household products. Scentsy sellers earn 20% of sales up to $1000 (USD) and then they can make even higher returns. They can also get discounted products and bonus opportunities. Shaklee offers delicious shakes, diet drinks and supplements to help everyone meet their weight loss and nutritional goals. The lowest third of their sellers make around $4674/year on average, and their highest sellers can make up to $70K as an executive coordinator. Silver Icing offers cute, comfy clothing—leggings, tunic tops, and accessories for in-home sales and boutiques. With a $75 (USD) starter kit, stylists get everything they need to start hosting and overseeing parties where they can earn 20% commission on clothes. Stella & Dot offers fun trendy and quality jewelry and accessories. Stylists earn 25-30% in commission and startup costs range from $199–$699. Their fine jewelry line includes diamonds and 14K gold, as well as supple pebble-grain leather handbags and accessories. Still around and going strong, Tupperware offers classic storage containers that are BPA free, durable, and user-friendly. Being a Tupperware consultant, you can host in-home parties and earn 25% commission on sales. You can also earn bonuses and receive product discounts. USANA creates healthy family products such as supplements and personal care products like vitamins. They offer a commission-based sales program with goals and bonuses. They offer 20% on sales, with an annual minimum. The popular “Body by Vi” program offers weight loss drinks and supplements to help clients reach their dietary goals. Distributors can earn a commission based on sales after purchasing an initial $499 starter kit. With a $99 starter kit, you can become a Younique presenter. Younique is a BBB accredited business and offers opportunities to give back to women’s causes through the purchase of their products. Presenters use in-home parties to introduce people to the great line of products Younique offers. This list gives you an idea of the wide spectrum of direct sales opportunities available to Canadians. An important note: I don’t personally endorse any of these direct sales companies. As is always the case, do your own due diligence prior to enrolling in any business opportunity. If you’re looking for direct sales opportunities from Canada, there are many options available to you. What other options have you found? Are there any great opportunities exclusive to Canada that we should add to this list? Please let me know! Wondering if you have the right personality for a direct sales business? Looking for more international opportunities? Check out these posts for ideas! Looking for a healthy pet product business…any Canadian based ones? I am an epicure consultant and love it. Only available in Canada. Thanks for sharing, Bri. I haven’t heard of them before. Love Epicure. I’m not a consultant but have three friends who are. They are expanding to the US next year! I am a consultant with Tiber River Naturals, a new Canadian direct sales company based out of Winnipeg, MB. Tiber River Naturals is bath, body, home products that are naturally derived, eco-friendly, and not tested on animals. If you’d like to become a consultant (30% commission plus other benefits!) you can sign up under me by click Become a Consultant on the website listed and I can guide you through getting the most out of being a consultant. If you’d be interested in hosting a party please send me an email: jenmarie.hamilton@gmail.com & if you’d like to order product you can do so directly through the website provided. It is a $10 flat S&H fee across Canada for web sales!! Just send me an email and I can give you a party number to enter when checking out. Thanks! I’d like some more info on your company please? Thank you! Yes! For now 😉… within the next few months we will be able to ship internationally! Epicure is an excellent Direct Sales Company available in Canada. We offer meal solutions for time starved families, helping them get clean and nutritious meals from raw to ready in under 20 minutes. Great selection of food and cookware products. 100% Gluten Free and produced in a Nut Free facility. The clean eating, health conscious market is growing, and there is a great Career Opportunity with Epicure. Hi Christina.. I have used Arbonne Products for over 4 years.. The Rescue & Renew Line is definitely a Spa Products .. If you have any questions about the products and/or the business opportunity.. please get in touch! I think you are missing a few – Beautycounter, Keep Collective are two newer ones. Also Cabi Clothing. Hi am Christina,and I love the opportunity to work at home and be my own boss,but would prefer to do spa products and beauty. I am a Rodan + Fields consultant and it is so cliche but this business has truly changed my life. You have to be willing to put in the steady work, but as long as you do, you WILL grow and have success. Our team always says this is the 3-5 year retirement plan. They are fairly new to Canada and the opportunities are endless. Send me an email at Amanda.house419@gmail.com for more information. Hi Christina, If you’d like to email me, I am part of an incredible company, we are ahead of a trend, which is always an advantage. We can talk and see if it interest you. Did you find a company that you love? Acti-Labs is fairly new and not on the list but available for UK, US, Ireland and Canadian Residents. Starts at $26.50 cdn to join. If you haven’t found the perfect company check out Limelight by Alcone! Skin care free of harmful chemicals and professional makeup! Just started in Canada! So you could be the first in your area! with their product Soulera, and Soulera Plus with CBD, Ground floor opportunity.